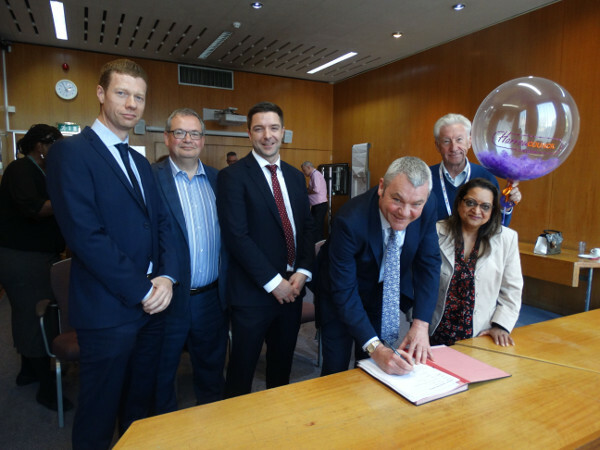 Riney (also known as JB Riney) has started work on a contract with Harrow Council to deliver highway services in the north London borough, worth up to £110m over 10 years. Under the contract, which began on 1 April, the Tarmac subsidiary will provide a range of services including routine and emergency maintenance works, highway and infrastructure improvements, resurfacing, street lighting, and winter gritting. Riney will operate from a dedicated depot within the London borough. The initial contract is for five years, with an option to extend the contract to a maximum of 10 years. Chris Moore, Riney’s managing director, said: ‘We’re delighted to secure this contract, which further extends our presence in the capital, complementing and enhancing the breadth and quality of our offering, and further strengthening our position in the London maintenance market. This is the second recent London borough contract success for Riney, adding to its portfolio of highway term contracts with London authorities. Last year, the firm won a £70m contract with Bromley Council.